Unsure of your Part Number? Use the search menu on the right to "Search by Diameter"
Select "Direct Insert" to insert our component into a blank document as parametric features. This method requires an open CAD session and a free Java plug-in. 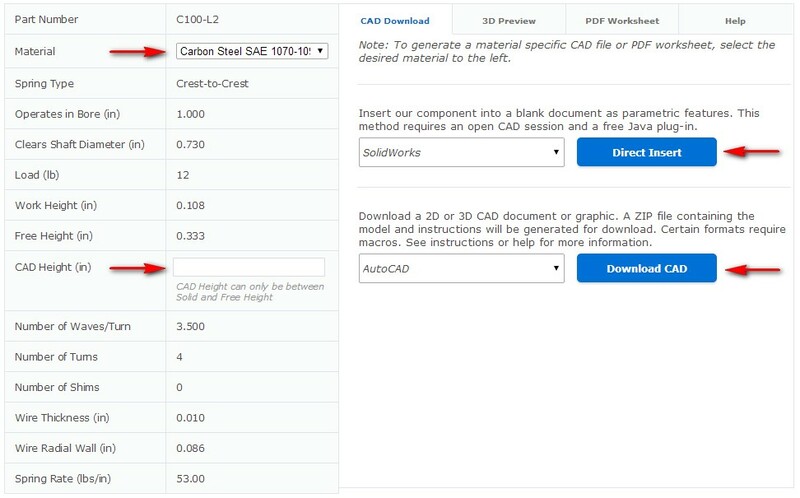 Select "Download CAD" to download a 2D or 3D CAD document or graphic. A ZIP file containing the model and instructions will be generated for download. Certain formats require macros. See instructions or help for more information. 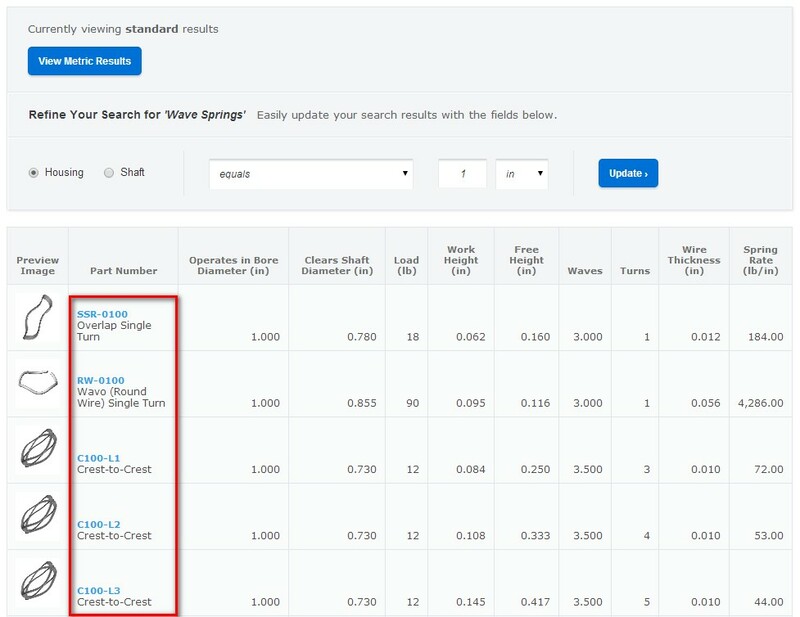 After Searching By Diameter or Searching By Part Number, you will be led to the Part Search Table. Select your part from the table by clicking the Part Number. After clicking the part number, you will be led to the to the part page. 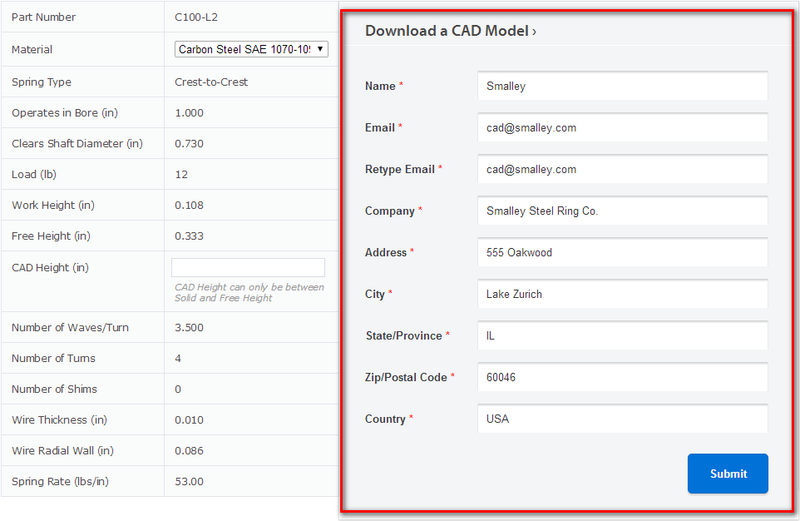 Fill out the "Download a CAD Model" form, with cookies enabled, you will only have to fill this form out one time. After submitting the form, choose the material and select the CAD Height (wave springs only), then select your format and click "Direct Insert" or "Download CAD".